It’s huge, and proving irresistible to winter sports enthusiasts at MIT. 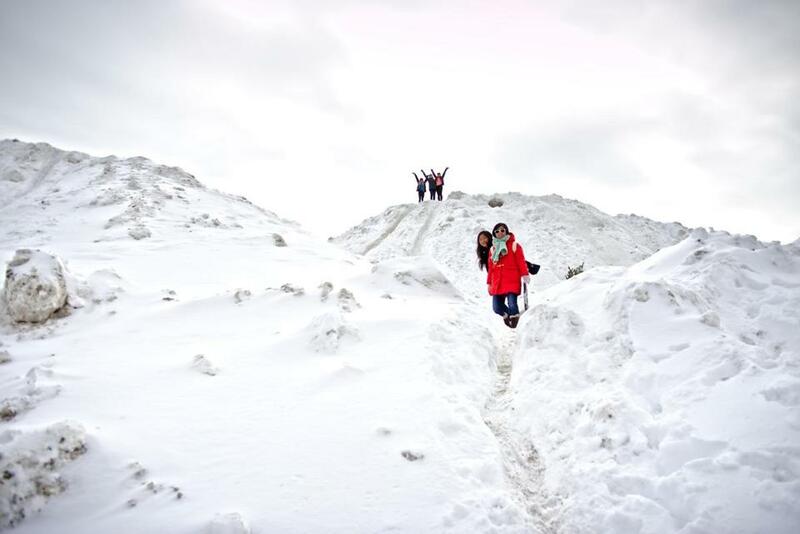 A massive mound on MIT’s campus — meant to serve as a dumping ground for excess snow — has been transformed by residents and students into a prime place for skiing, sledding, and “mountain” climbing. 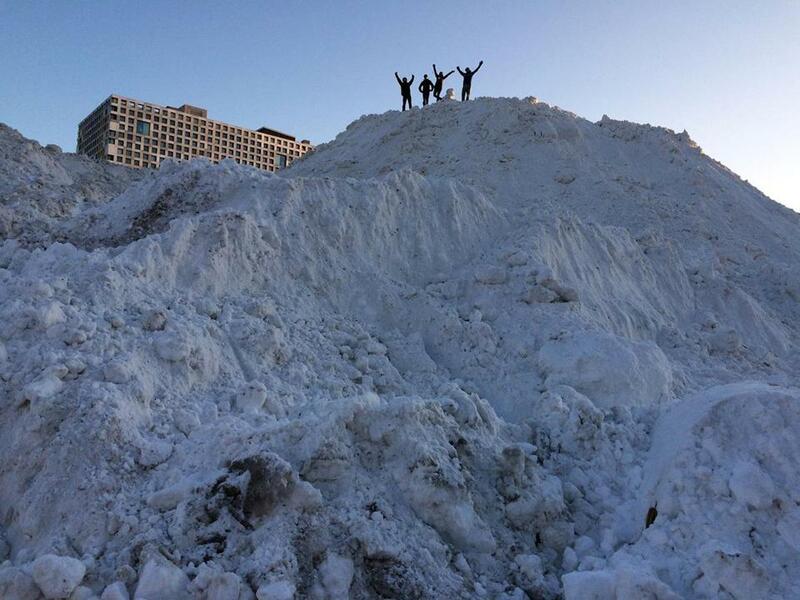 “I’m not sure who or what equipment was used to get it that high, but it’s definitely an awesome sight and unique this year,” said Dheera Venkatraman, a recent PhD graduate who spent a day scaling the massive pile of snow known as the “Alps of MIT” on Albany Street. Venkatraman, who snapped photos of friends trudging up the sides of the mound just behind the Simmons residence hall, said he observed people sledding, skiing, and “just sliding down” the mini-slopes. A school newsletter estimates the mound at five stories, sitting just below the residence hall, but towering over other buildings. Police think it’s closer to three stories, or 40 feet. There’s no official measurement. Carolyn Holz, a student working the front desk of Simmons Hall, said it has become a kind of “hill for outdoor activities,” especially on the days when classes were canceled due to snow. “There’s been a few people on it. They have mostly been sledding, but I saw someone with downhill skis on it just the other day,” said Holz. MIT Police Chief John DiFava said the institute used front-end loaders to build the pile from snow that has fallen around campus. Police have attempted to cordon off the mound, and hope students will stay clear of it with more snow on the way.